With the prices of everything skyrocketing, making your own cleaning products can be an easy way to save money. In addition to saving money, most are homemade cleaners are non-toxic, environmentally friendly, and safe for use around pets and children. They take very little time to make, so they don’t add to the workload. Friends and family members frequently ask for my homemade cleaning products recipes, so I’m sharing 12 of my favorites. I’ve tried all of these and found them to be at least as effective, if not more so than commercially prepared products. Before you get started mixing things up, you’ll need a couple of spray bottles to hold your homemade cleaning products. You can get inexpensive bottles in the travel section of stores like Wal-Mart or Target, or you can use glass spray bottles like these on Amazon, which are reusable and come with labels. You can also reuse spray bottles from commercial cleaners as long as you thoroughly clean them out to prevent unwanted chemical reactions. Be sure to label your bottles to prevent accidents. You’ll also need some old rags, sponges, or cloths for scrubbing purposes. I use an old fashioned sponge for the heavy scouring work and microfiber cloths for cleaning surfaces like countertops. Microfiber cloths can be rinsed/washed and reused over and over, making them an inexpensive choice if you don’t like rags or old washcloths. Now that you’ve got your basic supplies, on to the recipes! 1. Window/Glass cleaner: Mix equal parts water and distilled white vinegar in a spray bottle. You can use a rag to wipe the glass, but a sheet of newspaper does even better. 2. Floor cleaner: Pour 1/2 cup distilled white vinegar into one gallon of water. Mop the floors as usual. 3. Countertops: Mix equal parts distilled white vinegar and water in a spray bottle. Spray and wipe down countertops with a sponge or cloth. For stubborn stains, scrub with baking soda. 4. Tubs/sinks: Straight baking soda works well for scouring away soap scum and mildew. Sprinkle it into the tub and add just enough water to make a paste. Then scour away. Spray the chrome with the countertop mixture (above) of vinegar and water then wipe down to make it shine. If you have heavy mold or mildew, straight vinegar sprayed directly on the affected area works well for loosening it. 5. Toilets: Sprinkle straight baking soda into the toilet and swish around with a brush. Let it stand for a few minutes, swish a final time, and flush. 6. Fabric softener: Pour 1/4 cup of distilled white vinegar into the fabric softener dispenser or add manually during the rinse cycle. This softens clothes, removes excess detergent and does not leave a smell behind. 7. Carpet deodorizer: Sprinkle straight baking soda on the carpet, using more in heavily trafficked areas or where pets stay. Vacuum after 20-30 minutes. 8. Powdered laundry detergent: Mix 5 cups soap flakes and 7 cups of Borax and shake well to mix the flakes and Borax. Store in plastic container or old laundry detergent box. Use 1/2 cup per load. 9. Exterior house wash: If you have vinyl siding, this cleanser will get rid of mold and mildew. Mix one quart of bleach per gallon of water in a hand sprayer. Add 1/4 cup of dishwashing liquid (hand washing liquid such as Dawn or Ivory, not dishwasher liquid). The dishwashing soap just makes the mixture “sticky” so it will adhere to the wall long enough for the bleach to do the work. Spray on the walls and then rinse with a garden hose or light pressure wash.
10. Drain Cleaner: Pour 1/4 cup baking soda down the drain. Follow with 1/2 cup distilled white vinegar and plug the drain until the fizzing stops. Pour one gallon of boiling water down the drain to flush out the clog. Prevent clogs by pouring a pot of boiling water down the drain once per week. 11. Dishwasher Rinse Aid: Pour distilled white vinegar into the rinse agent compartment and wash as usual. 12. Furniture Polish: Mix 1/4 cup olive oil or mineral oil with 4 tablespoons distilled white vinegar and 20-30 drops of lemon essential oil. Pour into a spray bottle and shake well before using. One of the concerns I often hear about the recipes that use vinegar is that the vinegar will leave a smell behind. Let me assure you that once it dries or runs through the rinse cycle in the washer, it no longer smells. One of the benefits of homemade cleansers is that most leave no scent whatsoever behind, so your home does not smell like a hospital. If you want to add some scent, you can experiment with essential oils such as peppermint or lemon. You can find these at health food stores, or places like Trader Joe’s or Whole Foods. Another concern is that these cleansers don’t kill bacteria. Research has shown that vinegar does kill certain household pathogens, so if you want to disinfect without using harmful antibacterial chemicals, vinegar is a great choice. Tea tree oil is another great disinfectant and can be mixed with water and used on countertops and in sinks, tubs, and toilets to disinfect. As with any sort of cleanser, test your creations on inconspicuous areas to make sure there’s no discoloration, scratching, or other adverse effects. And two final words of warning: First, never use vinegar on natural stone such as granite or marble because it will scratch and pit the stone. Second, never mix bleach with vinegar because it will give off a toxic gas. Using homemade cleansers is just as effective and much less expensive than using commercial cleansers. Once you’ve mastered the basics, don’t hesitate to experiment with the concentrations and added scents you use to find what works best for you. Just remember to always test anything new before using it widely. Do you make your own household cleaners? Share your tips in the comments below! Can DIY Soap Save You Money? In the US, there are approximately 20.4 million college students. While not all of them choose to live on-campus, many do.On average, the price of room and board at a public institution is $10,800 per year. At private colleges and universities, that rises to $12,210. In most cases, that gives access to around 100 square feet, and they may have to share that space. In order to make the room better try a dorm room storage hack. However, if you bring the right items along, any dorm room can be more comfortable. Finding ways to sneak in storage options is a must, and using the space wisely makes a lot of difference. With that in mind, here are a few amazing products that can make any college dorm room more livable. When you need to create storage space in a dorm room, bed risers can make a world of difference. These products go under each of the legs of the bed, lifting it off the ground. You can find them in different heights, allowing you to choose a size that works best for you. Some even come with power outlets. Simply plug them into the wall outlet that sits behind the bed, and you can easily access the plugs. After you select your risers, you can choose storage boxes that will fit into the space. You can find a variety of options, including under bed bins with wheels for easier access or foldable ones that are more convenient to store when not in use. Shoe organizers that hang on the door give you extra storage pockets without sacrificing floor space. They come with hooks that slip onto the top of the door and usually don’t interfere with the door’s operation. Fabric versions are great if you need to store items discretely. Clear door organizers are ideal if you need to see everything stored in the pockets. They can hold anything from shoes to toiletries to school supplies to snacks. Consider getting one for every door for maximum storage efficiency. Most college dorms have strict rules about hanging things on the walls. Many don’t allow nails or thumbtacks, and some even restrict standard tape. Usually, the restrictions are there to ensure the students don’t damage the walls during their stay. However, if you need to store items on hooks or hang pictures, Command Hooks and Strips are usually allowed. Command hooks and strips are available in a range of sizes, typically denoting different carrying capacities. You can hang hats, scarves, bags, and keys for the hooks, while the strips make putting pictures on the wall a breeze. Plus, when you leave the dorm, they peel off the wall without damaging the surface, ensuring you can get your deposit back. Most dorm room nightstands are small, and some don’t have one at all. If you need to keep items like your cell phone, glasses, or a favorite book near your bed, pick up a bed caddy. These little pouches have a flap that fits between the mattress and the box spring. Once you set up the bed caddy, the weight of the mattress keeps it in place. In most cases, you can add a few along the edge of the bed, giving you additional storage for small items. You can also find bedside trays that attach to the frame. This can give you an extra surface for drinks and other items, just like a nightstand would. If you share a bathroom with a roommate and want to keep your toiletries in the bathroom secure, consider getting a shower locker. They stick to shower walls with suction cups and have internal shelves for additional storage. Plus, they have combination locks on the door. This means your roommate won’t “accidentally” use your shampoo or other items because they can’t access them. If your bathroom walls are entirely tile, you can actually put up a few. Then you can protect all of your personal hygiene items, ranging from your toothbrush to your razors to your face wash. Whether you need additional shelves in a closet or a way to organize items along an empty wall, wire storage cubes can be a great option. They come in pieces so that you can configure them in a variety of ways. Plus, putting them together is easy, usually not requiring anything more than a reasonably strong grip. You can even set up the top row as baskets instead of shelves, allowing you to easily store items that might not sit upright on their own. Silverware organizers can do more than just hold forks and spoons. They are excellent for keeping desk drawers arranged, giving you sections for pens and pencils that prevent them from rolling around. They can also work as jewelry storage, letting you keep necklaces and earrings separated. If you set one near the door on a table, it can make a great drop zone too. You can keep your keys and similar small items in different sections, so you always know where to find them. Ultimately, all of the dorm room storage options above can help make a dorm room feel more comfortable. Consider giving them all a try, especially if you are sharing an incredibly small space with another student. This is another great dorm room storage hack. Do you have a favorite dorm room storage hack? Tell us about it in the comments below. For most of the country, the worst of 2018’s allergy season has come and gone, but that doesn’t mean everyone is out of the woods just yet. In early June, tree pollen will likely peak in northern New York and into New England, according to AccuWeather. Furthermore, grass pollen will also increase in the southeast and mid-Atlantic regions. This means allergy sufferers could still be struggling this time of year. While prescription and over-the-counter medications can provide relief, some prefer a more natural route. Luckily, there are a variety of home remedies that can help. Here are some options for keeping your symptoms at bay. Options like neti pots and nasal washes flush materials out of your sinuses, which can reduce your exposure to allergens. Typically, they use a saline solution and purified water to break up mucus and remove irritants, like pollen. Using a neti pot can feel odd at first, as you have to allow the rinse to enter one nostril and exit the other. Additionally, you need to make sure that you don’t use them with tap water, which can introduce risks. Butterbur is a plant extract that may reduce inflammation of your airways. One study by Swiss researchers showed it was as effective as two over-the-counter antihistamines (cetirizine and fexofenadine) at reducing congestion and runny noses. If you decide to use Butterbur, it has to be in an extract form. In its natural form, butterbur has dangerous compounds that can harm the liver, but they’re removed during processing. Many praise honey for its health benefits. When it comes to allergies, one of the things honey can do is ease a sore throat. By swallowing a spoonful, it can calm irritation and coat the tissues, providing relief. Try to source your honey locally, since that might help you build to pollen proliferating in your area. However, it would take time for a tolerance to develop. Note also that research on this topic is sparse. A hot, steamy shower can do wonders for the sinuses. But, for allergy sufferers, the benefits may be twofold. Not only will you be able to unclog and clear your sinuses but showering also removes allergens from your skin and hair, reducing your exposure. This also decreases the likelihood that you will transfer the allergens to other items, like pillows and furniture. If you just need the sinus-clearing benefits, you can also try a facial steam. You can use a facial steam device or simply heat some water and put it in a bowl. For the maximum effect, drape a towel over your head to catch the steam. You can also add eucalyptus oil to the water to reduce inflammation. Just be careful not to get too close to the water, or you can get burned. Drinking tea can also provide allergy sufferers with relief. Since a hot cup of tea produces steam, that can help open nasal passages. If you choose peppermint tea, you may also get some decongestant and expectorant benefits. Green tea may also have antioxidant properties that can reduce allergic reactions, albeit slightly. However, if you are allergic to ragweed, avoid chamomile tea. It can cause a similar allergic reaction, so avoiding it is best. If you need to make your home a sanctuary, install a high-efficiency particulate air (HEPA) filter on your HVAC system. If you don’t have central air conditioning, you can also purchase portable air cleaners that do the same thing. These filters capture pollen in the air, ensuring it doesn’t circulate through your home. You will need to change the filter regularly to get the most benefit. Refer to the manufacturer’s instructions regarding the replacement schedule. Step up your consumption of weather forecasts to learn about conditions that might exacerbate your allergies — so that you know when it’s best to keep the windows closed or even stay indoors. Depending on exactly what you’re allergic to, you might find that your symptoms worsen on windy days or those with increased pollution. Conversely, your symptoms might subside after a heavy rain, which tends to reduce the amount of pollen in the air. Speaking of which, you can obtain more details on local pollen counts by visiting websites like Pollen.com. Readers, do you or someone you care about suffer from allergies — and what’s your opinion on homeopathic remedies versus traditional pharmaceuticals? When many people think about becoming budget-conscious, they cringe because they associate living on a budget with being cheap. They don’t want to be known as, “That cheap SOB.”What they don’t understand is that the two terms are very different. You be frugal and live on a budget without being cheap. Living on or within a budget means that you know how much money is coming in and how much you have available to spend on things like housing, food, utilities, and extras. A budget, or living frugally, keeps you from overspending because you know exactly what you have and where it’s going. You’re saving money, but you’re doing it by spending wisely (or not at all). 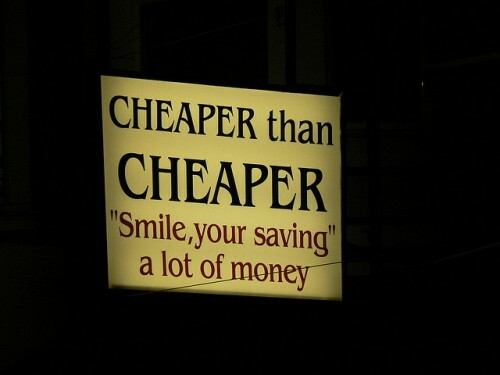 Being cheap, on the other hand, means being stingy or miserly. It means sometimes resorting to questionable or unethical means to save money, or doing things that hurt others in the process. Here are some examples of the differences between being frugal vs cheap. Someone on a budget doesn’t go out to eat if it isn’t in the budget. People who live frugally also seek restaurants that offer coupons or special deals or have prices that fit into their budget. Someone who is cheap will go out to eat somewhere that they can’t really afford but cuts the bill down by skipping the gratuity, bringing in their own drinks, or lying about their kids’ ages so the “older” kids can qualify for the children’s menu. The person on a budget does what they can to save on pet expenses by looking for low-cost veterinary clinics. The cheap person opts to forego routine vaccinations so he can dodge the pet ownership tax and then gets upset when the pet gets rabies. The person on a budget returns things with a receipt or accepts store credit/less money back if they no longer have the receipt. The cheap person tries to “game the system” by returning things to the stores with being laxest return policies, even if the item wasn’t purchased there. The person on a budget uses coupons in accordance with the rules of the retailer and the coupon. The cheap person exploits loopholes in the system and engages in coupon fraud, not caring that getting away with it doesn’t make it right. The person on a budget has a budget for travel or other recreational activities and spends accordingly. If the activity can’t be paid for, it isn’t done. The cheap person, on the other hand, lies about the kids’ (or adults) ages to get discounted admissions to movies or theme parks. Someone who is on a budget goes to a restaurant on their birthday to get the free dessert or appetizer. The cheap person lies and says that it’s their birthday several times per year to get the freebie. The person on a budget knows how much they can spend on utilities and does their best to keep everyone comfortable within that range. The cheap person is willing to freeze or roast everyone else in the house just to save a few pennies. The person on a budget will research the best deal on an item and get it without hurting anyone else. If the item cannot be had without a Black Friday beat down, the person on a budget will often find another way to get the item knowing that good deals come around all the time. The cheap person will trample others or push them out of the way to get a deal. The deal is more important than safety or sense to a cheap person. The person on a budget goes out to dinner with friends and orders only what they can pay for. The cheap person goes out to dinner with friends and orders appetizers, alcoholic drinks and an entree and then demands that the bill is split equally with everyone else at the table. A person on a budget rents DVD’s buys them used, or borrows them from the library to save money. They do much the same with other forms of media such as music or books. The cheap person pirates illegal copies of music, books, and movies. The person on a budget will ask a neighbor if they can borrow a tool or barter for some labor on a project. They are always careful to repay the favor or to offer some other compensation. The cheap person will ask for things over and over again and never make a move to return the favor or compensate the other person in any way. The budget-conscious person reports all taxes that they owe, including ones they might be able to dodge (such as online sales/use taxes that are now supposed to be reported in many states or hobby income that should be reported). The person on a budget knows that reporting now will save them many headaches down the road. The cheap person either lies and pays too little or simply pays nothing, hoping never to be caught. See the difference? The frugal, or budget-conscious, person spends in harmony with their means. The cheap person either tries to save money at the expense of others or cheats the system in some way. Think of it this way: Living on a budget is a way of being financially smart and responsible with your money management. Being cheap is a personality defect. If you decide to live on a budget, don’t get confused and think that you’re being cheap and that you’re now a horrible person. (Of course, it’s possible to take budgeting too far and slide into becoming cheap, but it takes some effort to sink that low.) 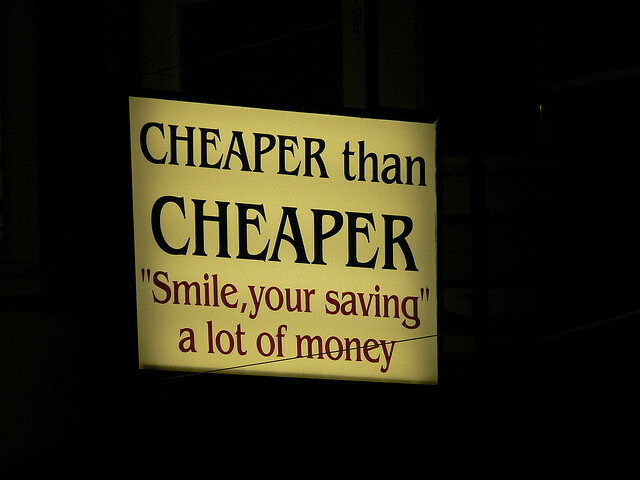 In our culture spending less than you can is often called being “cheap” and it’s meant in a derogatory way. We’re taught to spend all we have and then some and to live on a budget makes you stand out from the herd. It’s easy for people to label those that are different as “cheap,” but unless you’re putting money above common sense, the law, and the well-being of others, chances are you’re not being cheap but budget smart.